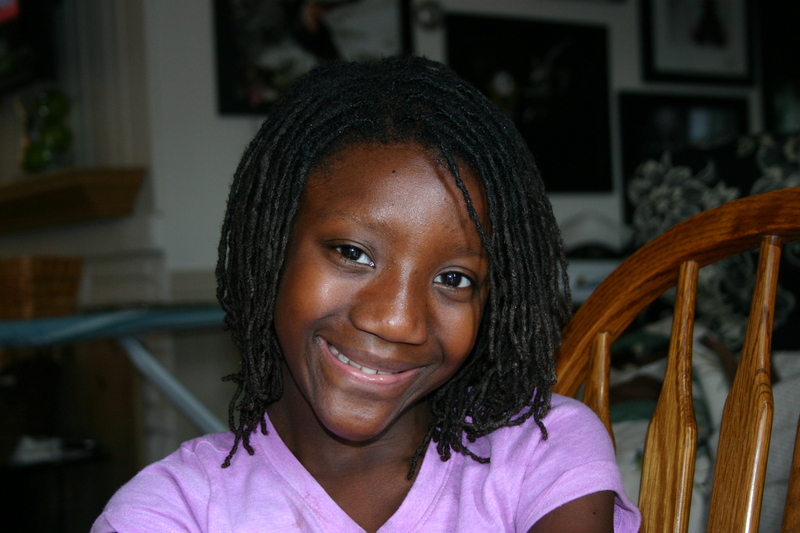 We started Blessing’s Dreadlock journey in June of 2011. 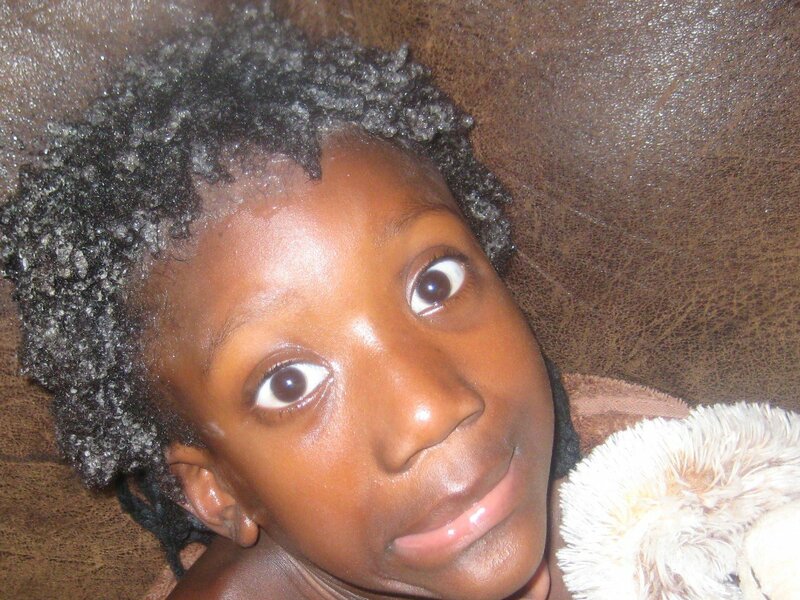 She was 7 years old, this is the last picture of her little Afro loaded up with conditioner right before we started braiding. 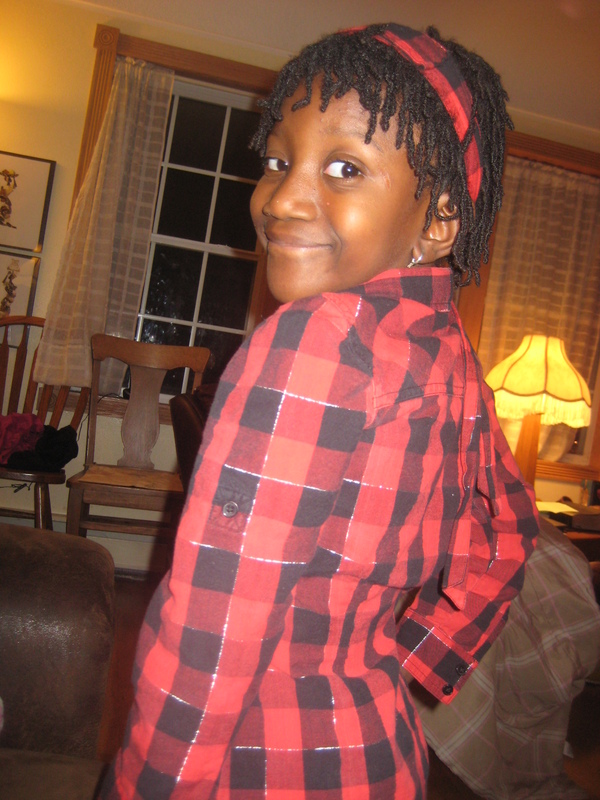 Very first Dreadlocks. July 2011. 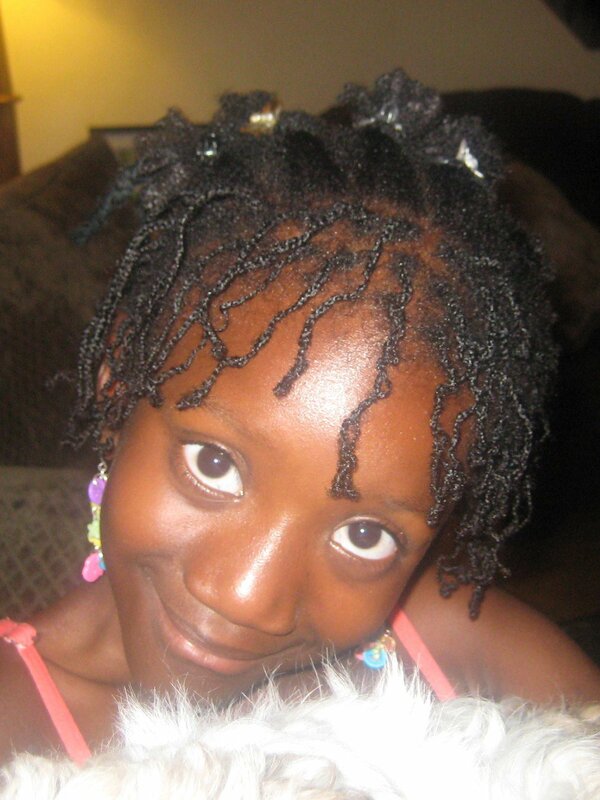 Blessing’s dreadlocks could also be referred to as Braidlocks as we started them by braiding her hair. 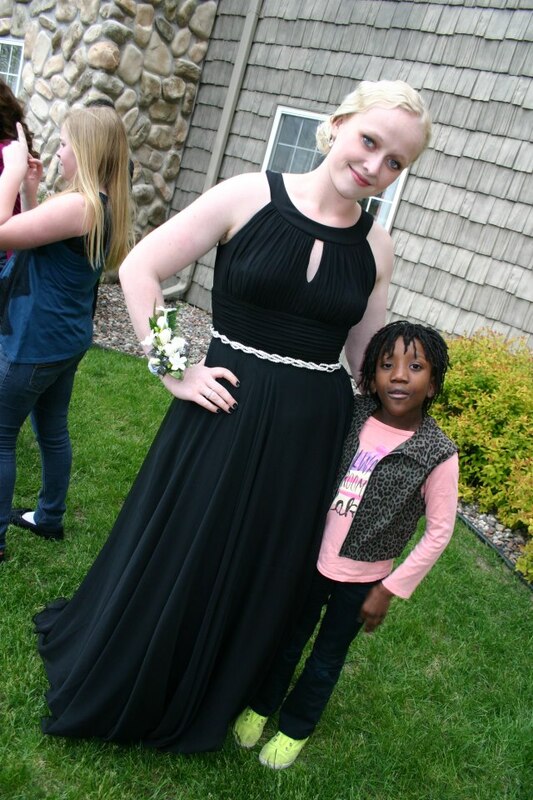 She had 248 tiny braids on her little head at this point. It took us 3 weeks to complete the process. We worked in 2 hour sessions, watched lots of Disney movies and had lots of tears. 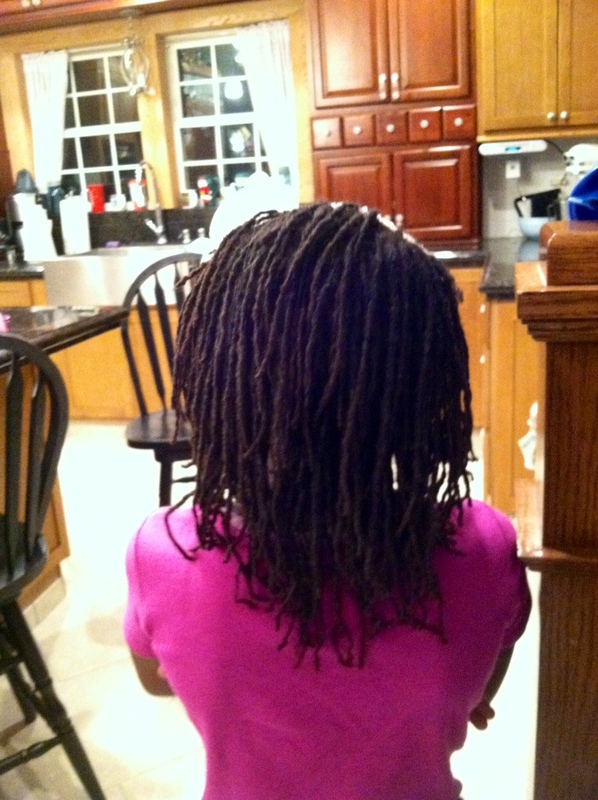 Blessing wanted the dreadlocks but it is a tough process for a busy little 7 year old. Fall 2011, 4 months of growth and newly locked. 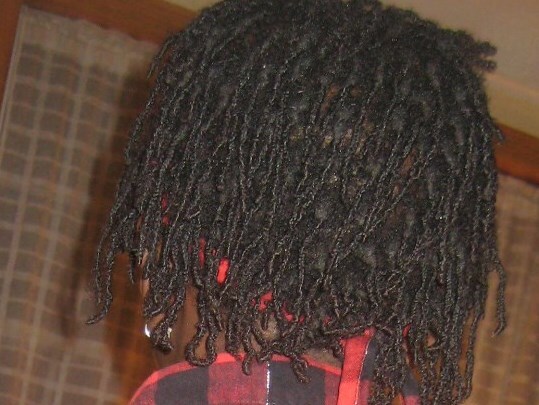 Fall 2011, you can see the “braid ” pattern in each lock if you look close. 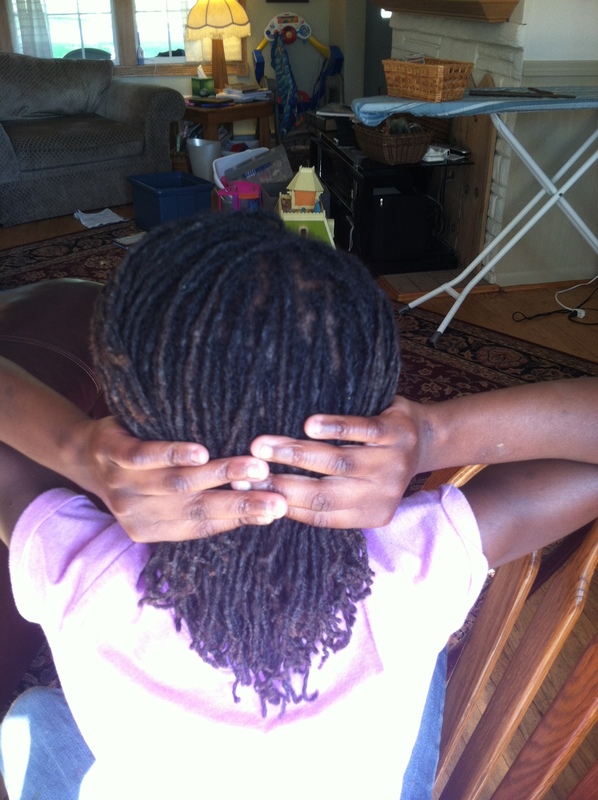 This picture was taken before we relocked them, you can see the “outgrowth” at the top of each braid. Spring 2012, about one year of growth. Winter 2012, 18 months of growth and newly locked + a brand new little niece. 18 months of growth and locking + a brand new puppy. July 2013 two years . 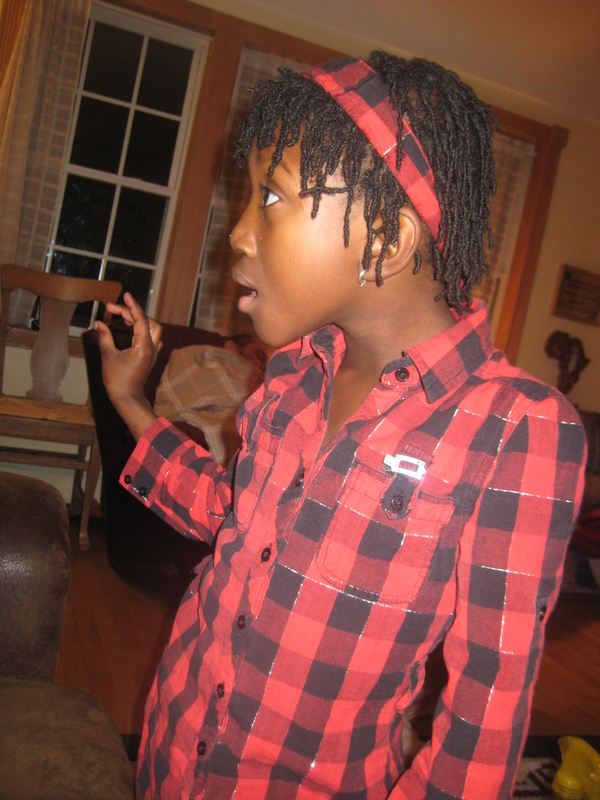 Blessing’s hair is long enough for a pony tail. This is a BIG deal !! Two years. Fall 2013, two and a half years of growth. Two and a half years of growth and locking. May 2014, almost 3 years of growth. 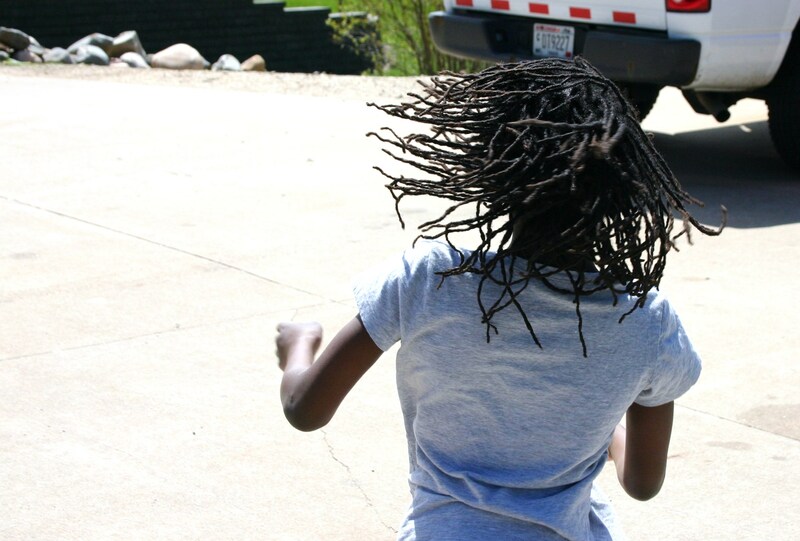 Blessing’s dreadlocks are almost 3 years old. Look at that ponytail . Almost 3 years of growth. This picture is Blessing’s ponytail with 2 years of growth. This picture is Blessing’s ponytail with 3 years of growth. 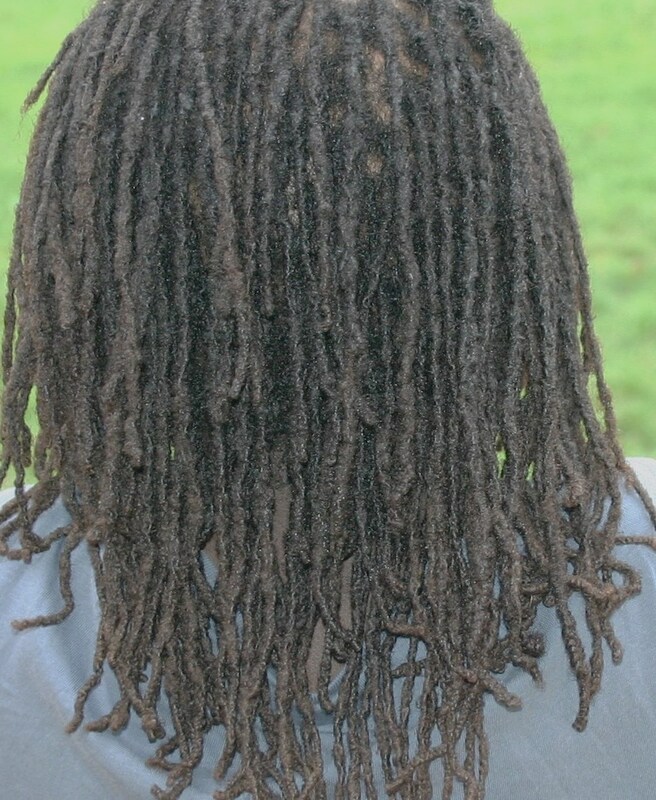 A challenge with Dreadlocks can be how to keep them clean and moisturized. 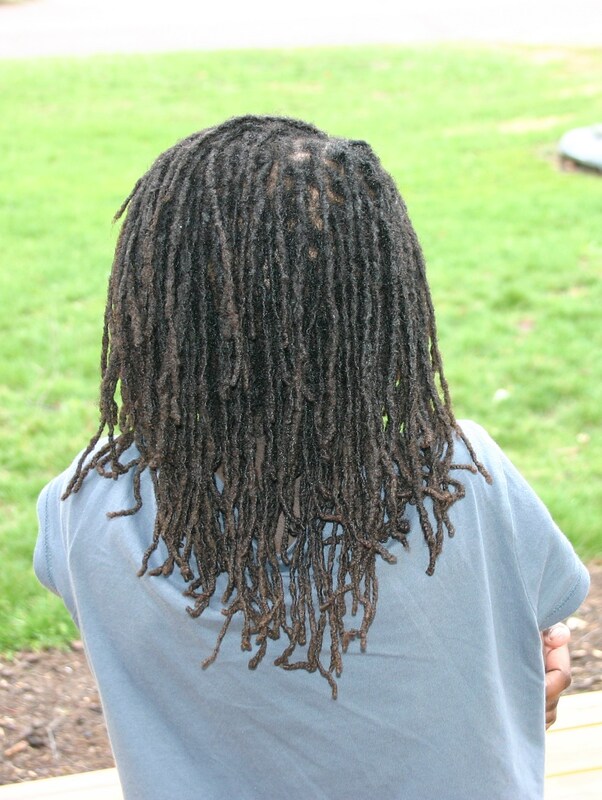 Many products marketed for deadlocks will build up in the locks, this is not healthy for the hair or scalp. Build up is not attractive. We developed build up at about 18 months of growth . 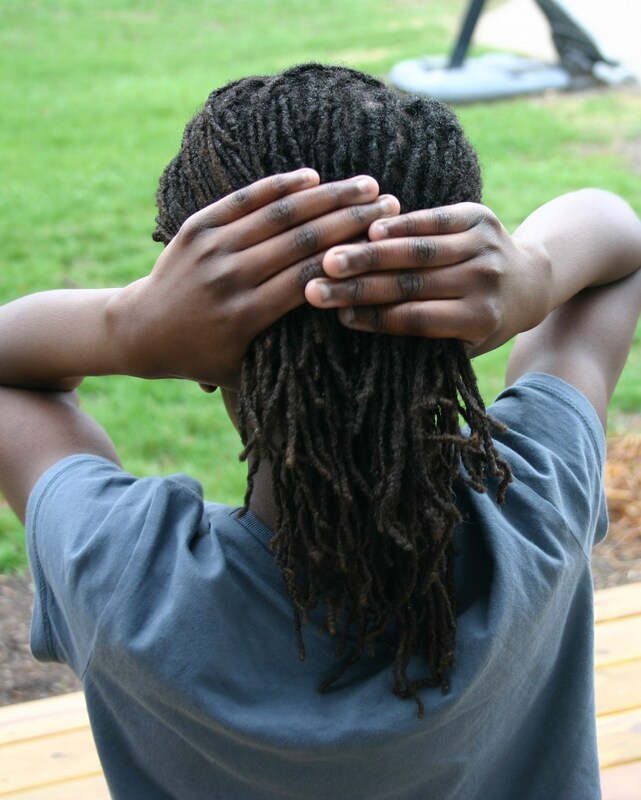 i was heart broken, i felt like we were failing and feared we may have to give up the dreadlock journey. After much research we found an amazing cleansing process and we have settled on using only coconut oil for moisturizing . This picture shows the irregular color and white spots from the sad build-up. This was at 2 years into our journey. 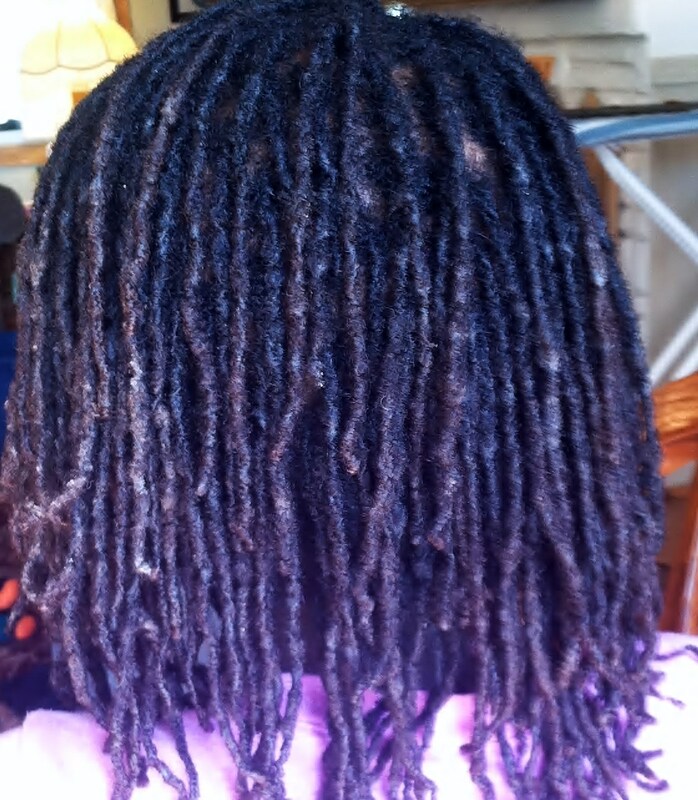 This picture shows the dreadlocks cleansed and using only coconut oil. Today they are healthy, clean, neat and beautiful !! 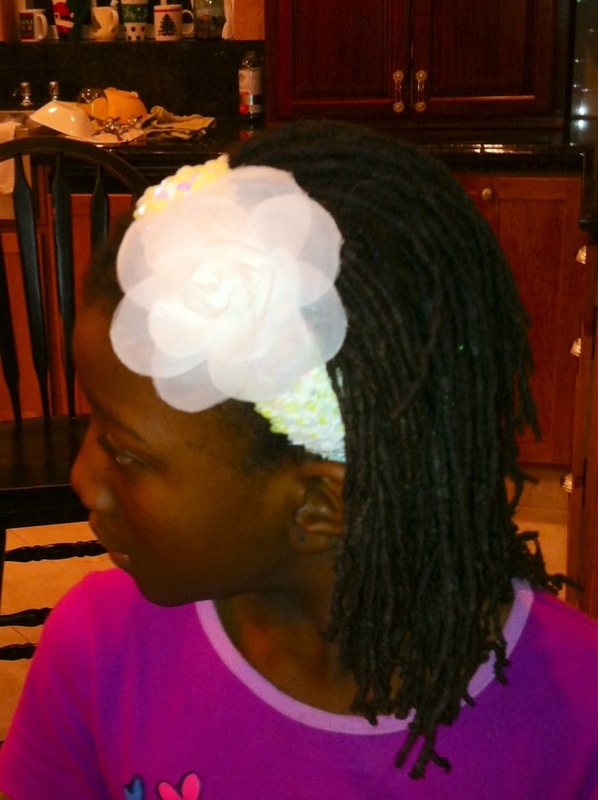 Blessing and i are delighted to be mastering the dreadlock journey. 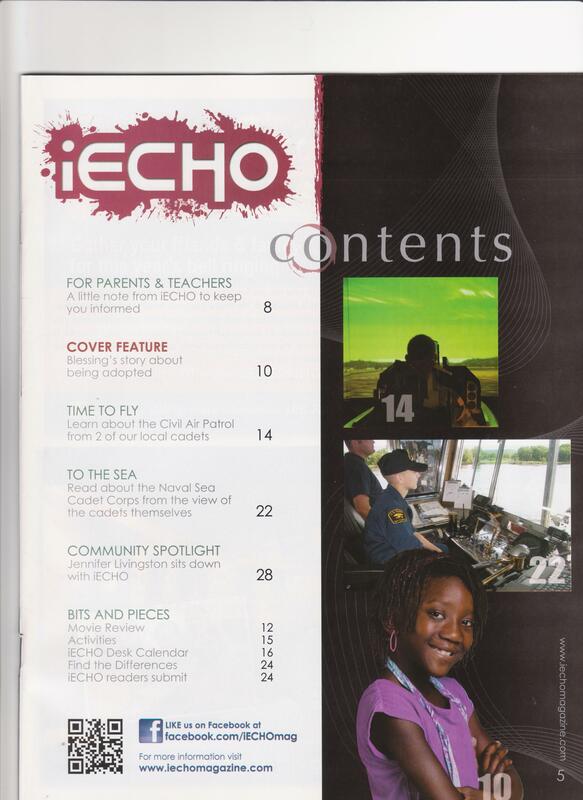 Our Blessing was featured in a local magazine a while back. Attention in public is not a new thing to Blessing, her bigger than life personality commands attention wherever we go. Blessing is a name not forgotten. 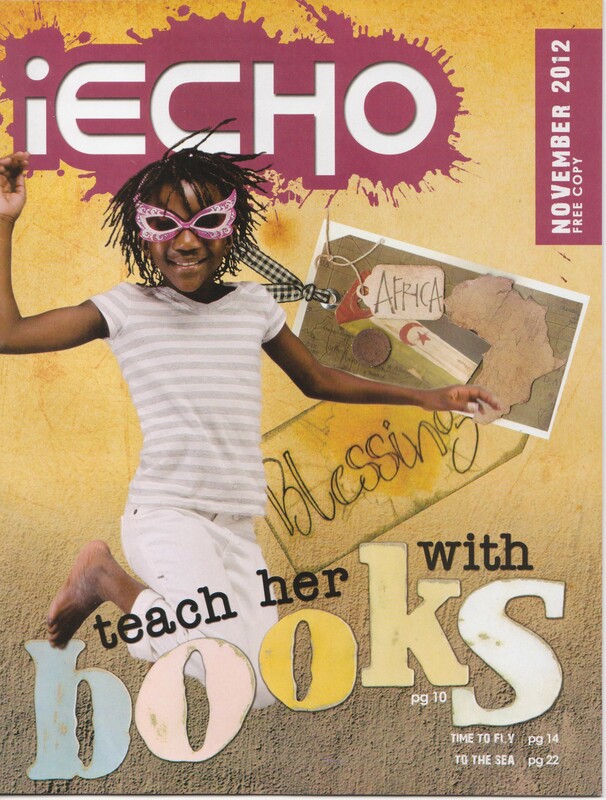 The very white mom with the very chocolate pixie is a combination that is more unique than common in our little Midwest hamlet, yet to be on the cover of a magazine on every reading table and magazine rack around town brought a whole new level of recognition and our girl was absolutely loving it. 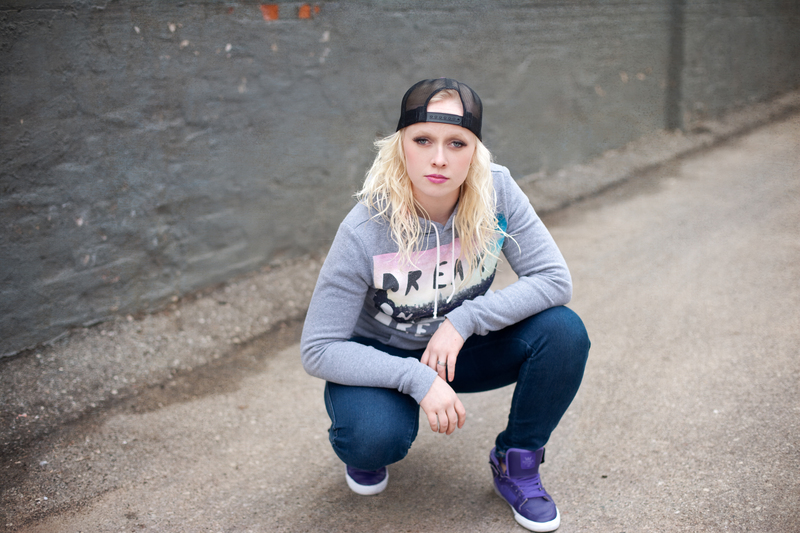 Blessing was interviewed separate from Tim and i , it was a treat to hear her perspective on her journey. 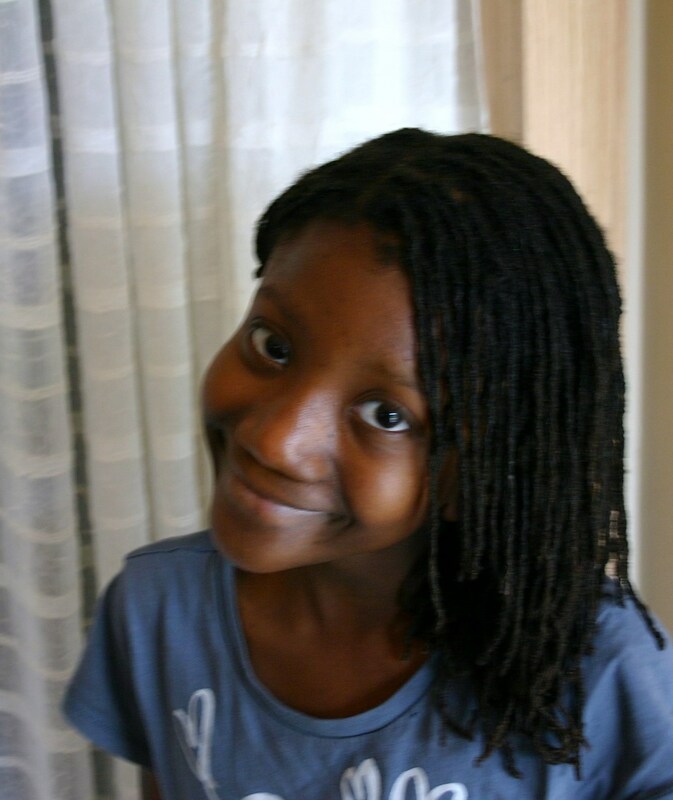 A few details involved some artistic licence on Blessing’s part, here are the facts before you read her story…..
We rarely eat broccoli , we rarely have casseroles,( how did she even know that word), and i do not cook anything regularly or every Tuesday. Blessing’s brother Tylor does play football, in the front yard with his dad and brothers. 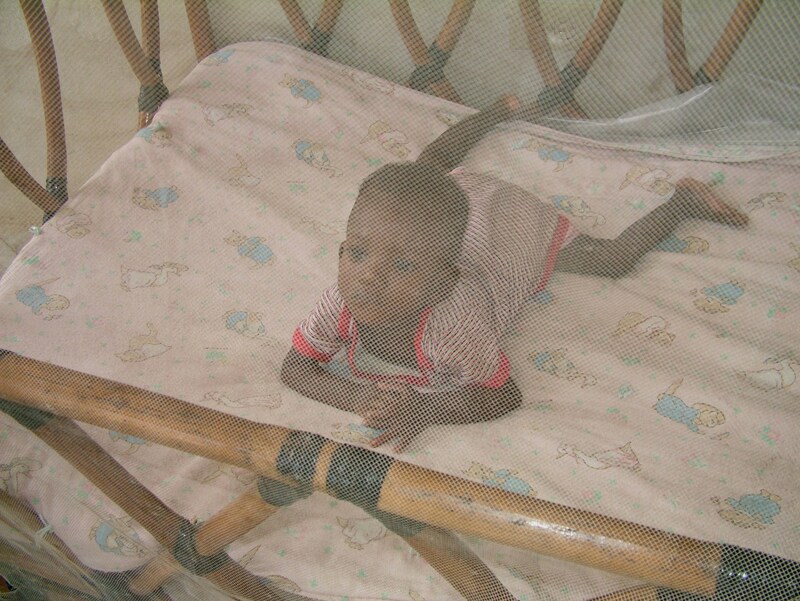 My time in Liberia was 9 days, or in other words, a month. Domoundo does not mean Blessing, Blessing’s birth parents gave her the name Blessing. 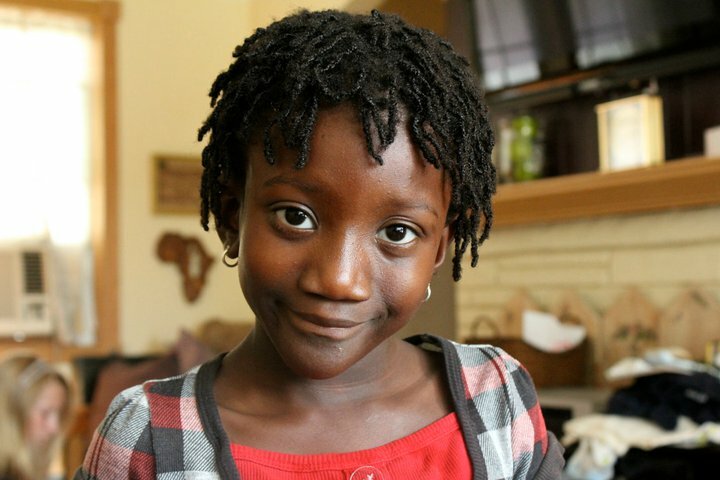 The people from Blessing’s part of Africa speak English and Blessing was Blessing from moment one of her beautiful little life. …. after several weeks of living the fun of this article , our girl was pretty sure she must be some kind of famous, what we know for sure is that she is some king of amazing. 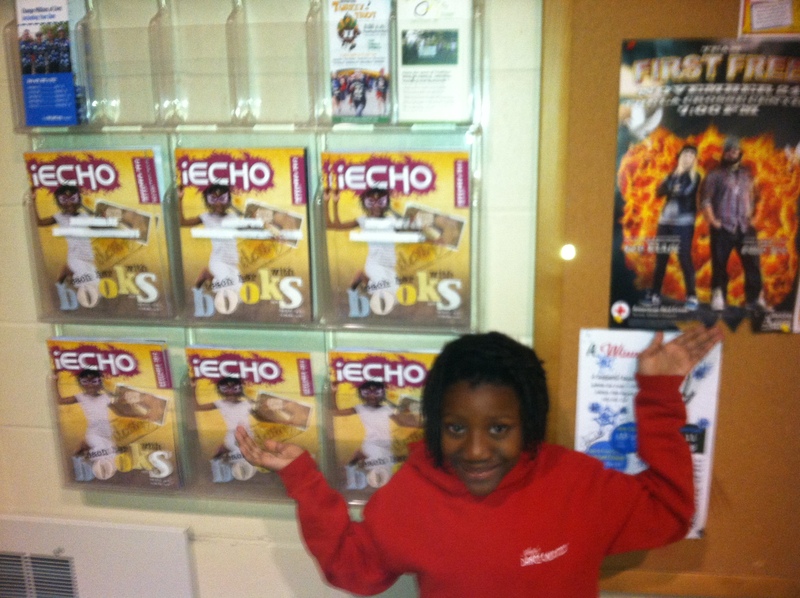 Blessing found this magazine rack at the YMCA , she is in one and her big sissy is featured in the other one. We have two Princesses, our Blondie given to us in 1995 after our three blonde boys, and our African Ebony Angel brought to us in 2005 . ( i adore Tim’s proud expression in this photo ). i wished for a daughter from the beginning of forever. 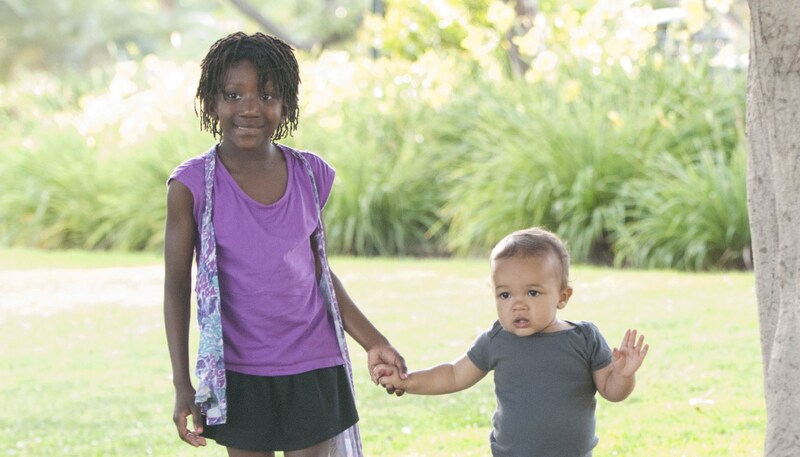 As our three boys arrived i saw a beautiful plan in being the mamma of My Three Sons. We were “full” and expected that we would raise our boys and call it good. 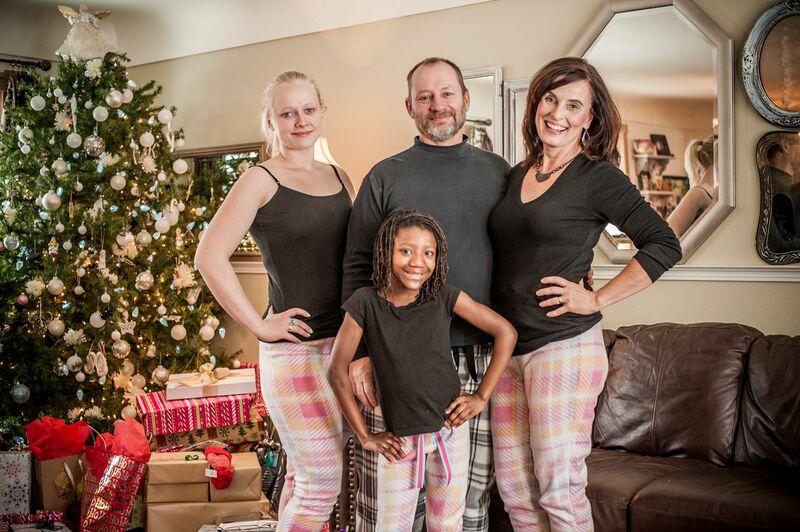 Our Kaydra was a surprise gift. 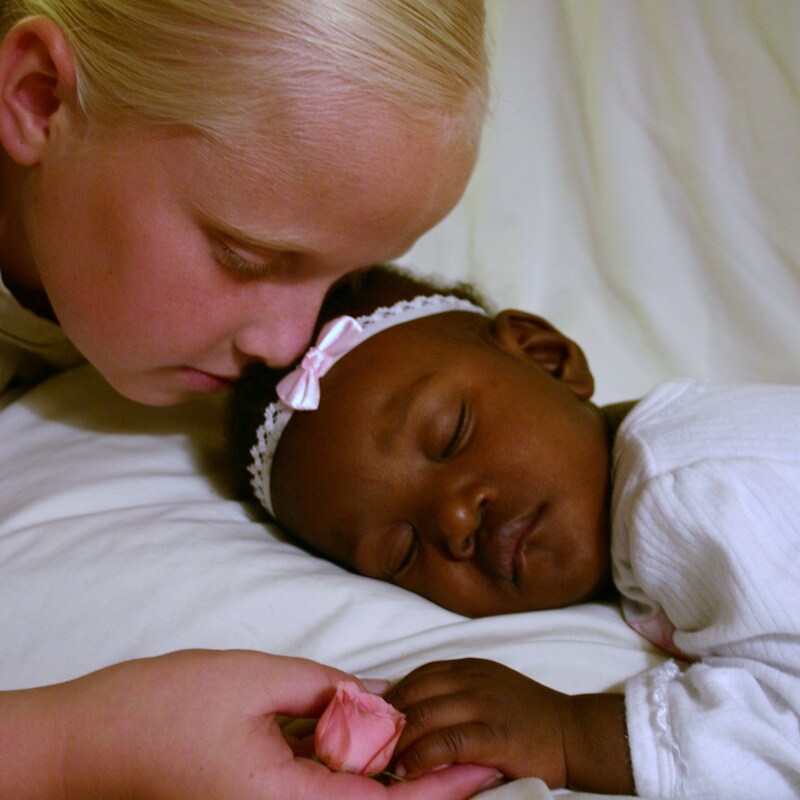 The day her pinkness was laid in my arms remains one of my most treasured moments of my mamma’s journey. 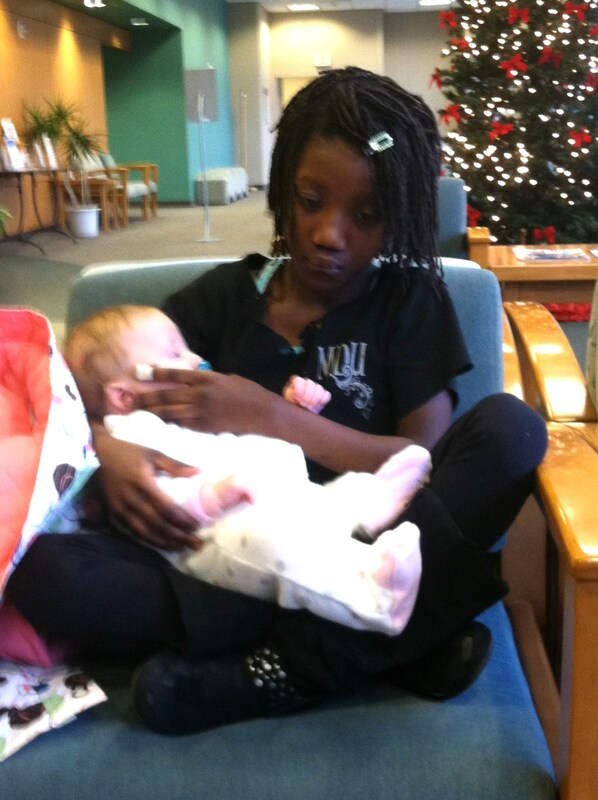 From the day Kaydra was old enough to realize she was the only girl in our boy world she wished for a sister. 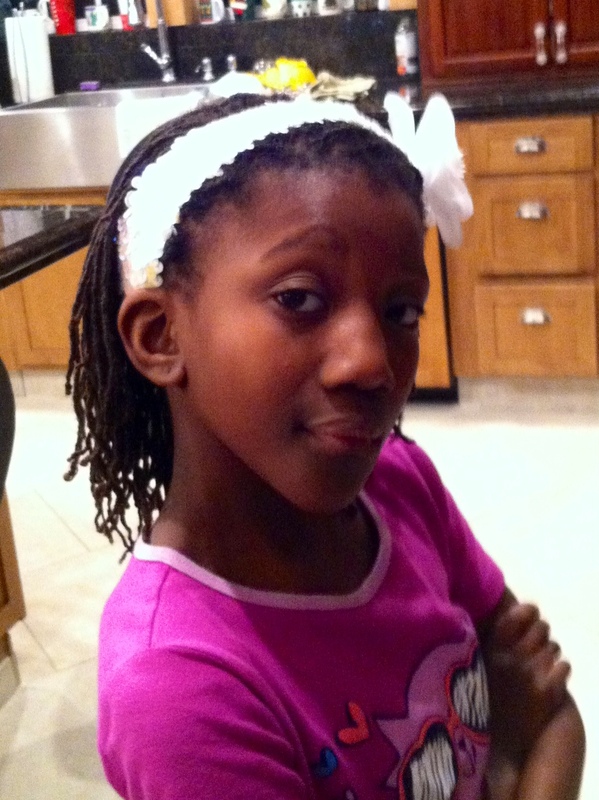 Ten years later in 2005 we were blessed with our second Princess, our African Angel, Blessing Kayin. what’s with those neon yellow shoes on my tiny cute one ? 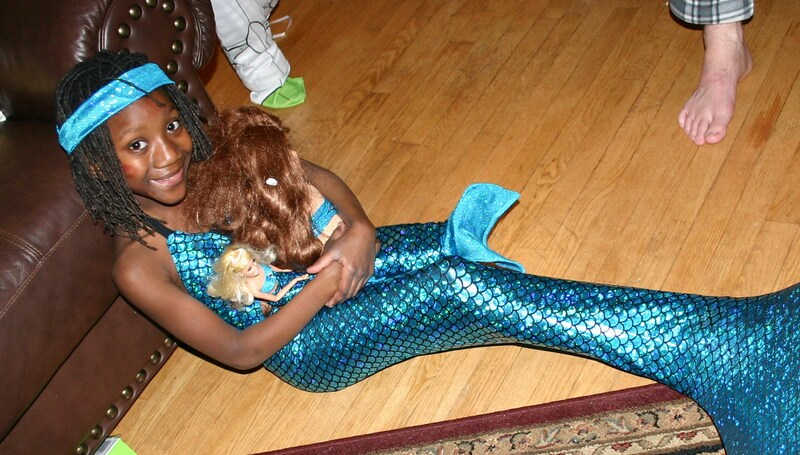 Kaydra said yes to her prince on February 27,2014. Blessing, our ever dramatic one, was thrilled, concerned about losing her sissy and started a countdown till she can have Kaydra’s room. 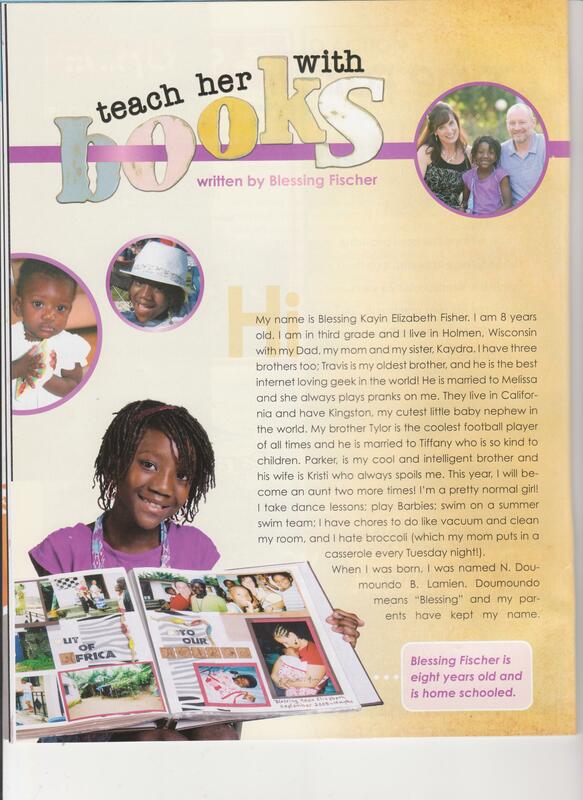 Blessing was born in Liberia, Africa. Her mother died of illness when Blessing was 7 months old. 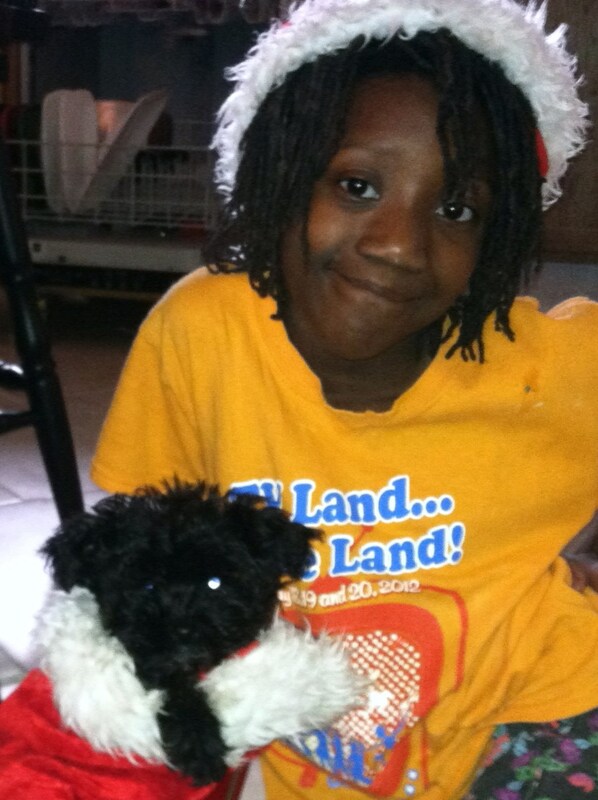 i traveled to bring Blessing home 8 months later. 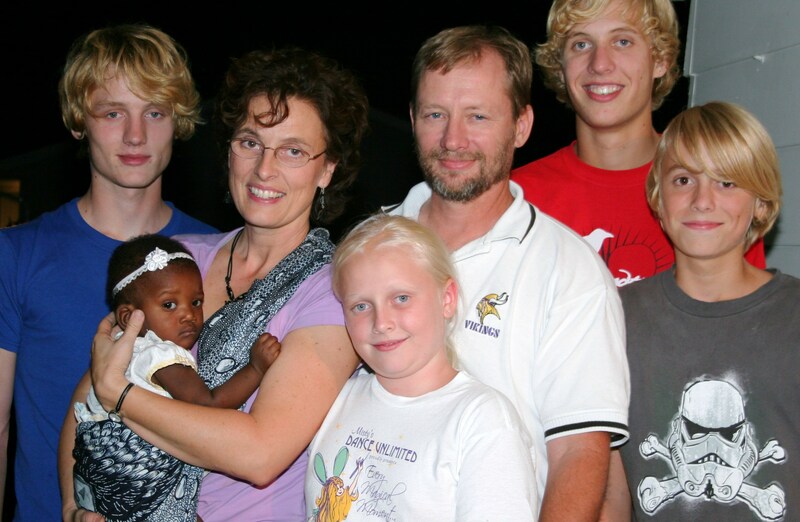 We arrived at home and Blessing met the rest of her family on September 10,2005. 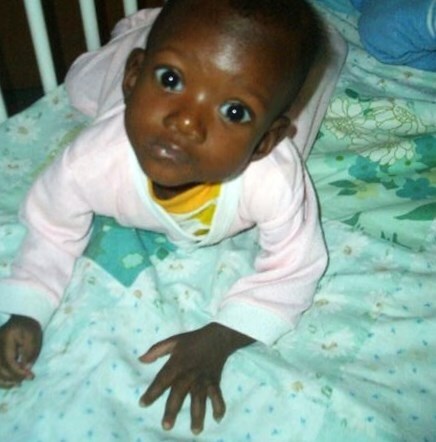 Blessing was 15 months old, she wore size 3 month cloths and was a very sick little girl. This picture was just 2 weeks after we arrived home. It was miraculous to watch what our Lord did those first months with a lot of love and good nutrition. 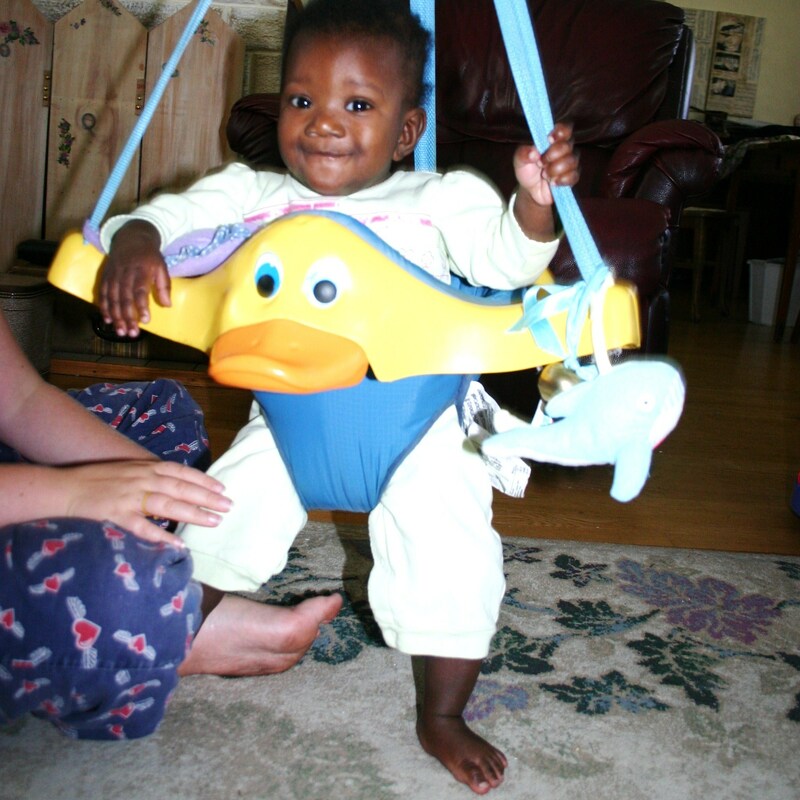 Blessing’s growth chart line went straight up for the first 6 month she was home. 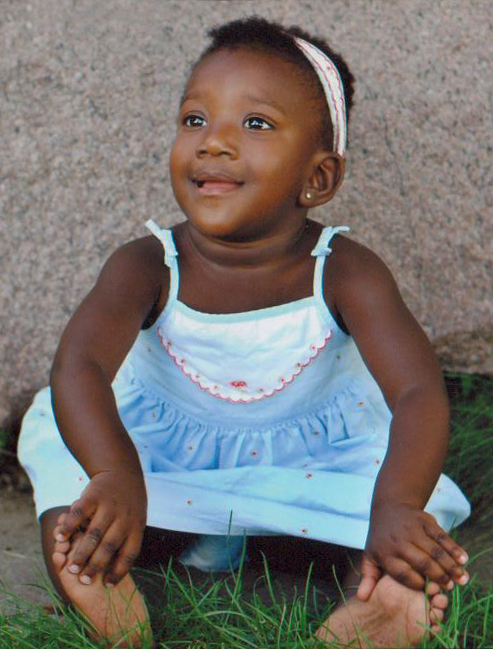 She blossomed into a little tiny ebony bundle of life, joy, ENERGY and mischief as she grew and developed. 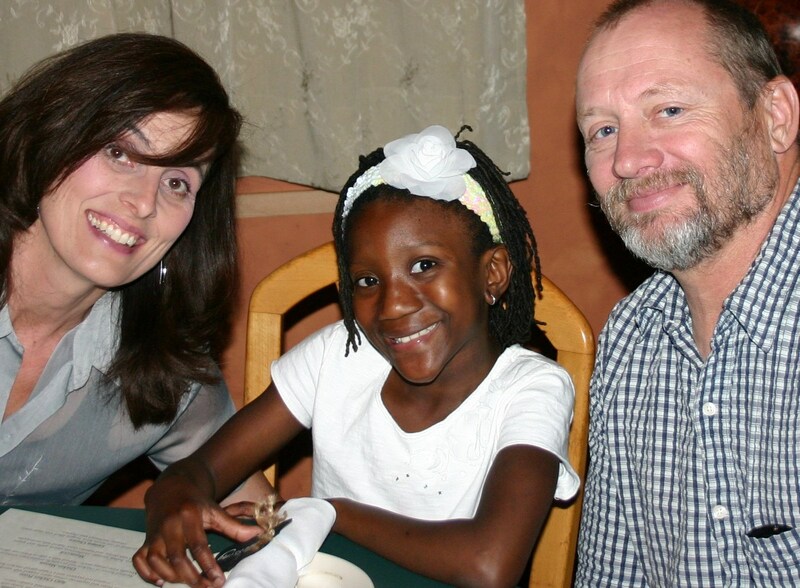 The gift of Blessing to our family is one of the most amazing miracles Our Lord has given.